Set your complex business processes in motion. Documents are at the core of your business. Work gets done when your document processes are smooth and accurate. SpringCM's core functionality is to automate these processes. Once you have a document (either uploaded into your SpringCM account or generated from SpringCM using Doc Launcher) or data (collected in an e-form) a workflow can be kicked off. 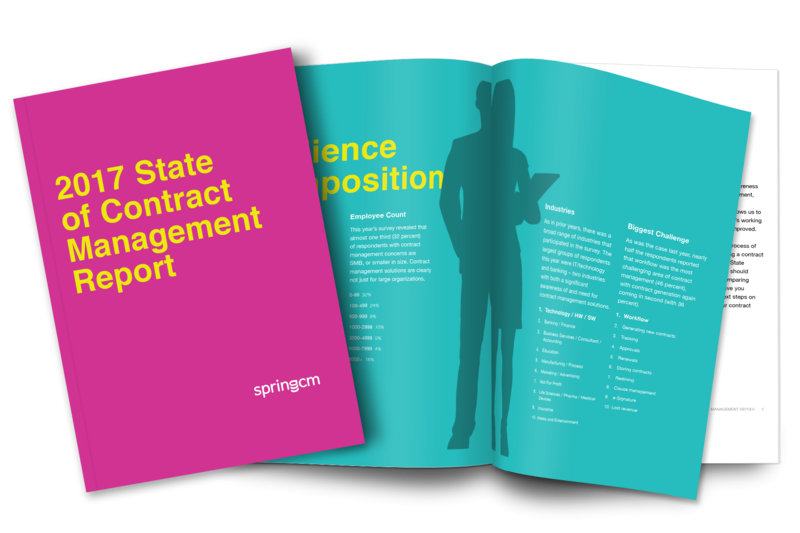 When more advanced document processes are required, like executing a contract, you'll have robust functionality for the entire lifecycle of any document. You can choose from a variety of predefined activities to build out custom workflows. Automating these processes creates efficiency, and with our Workflow Designer, provides a user-friendly interface for ease of use. 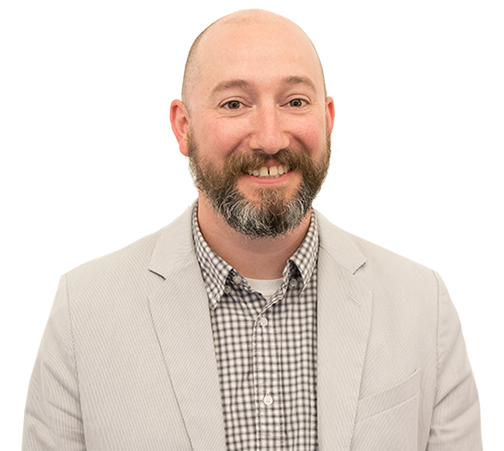 Automating the entire lifecycle of a document means that you have a workflow step for every touchpoint that your document makes; review, negotiation, approval, execution and renewal reminders can all be built into the workflow. Once your document is in motion, you'll have visibility into its status. Within the workspace you can view your workflow inbox and see all of your workflow assignments in one central location. The workflow inbox is similar to an email inbox; it contains a list of tasks that you are responsible for completing. 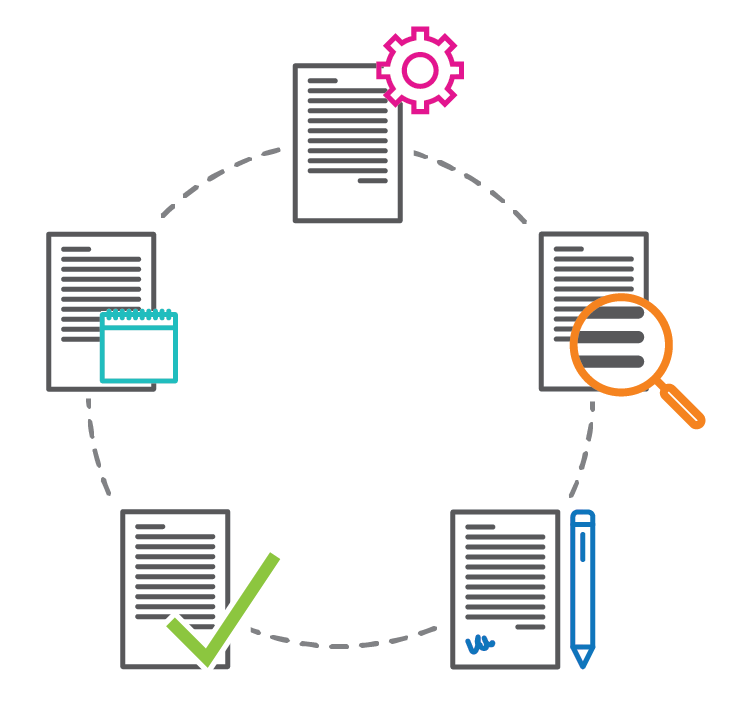 Our features make it so that you can truly automate the entire lifecycle of your documents and contracts. 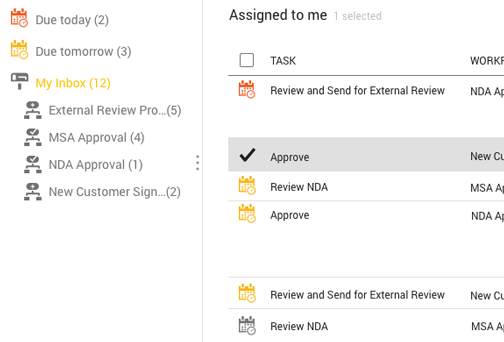 From generating the document, internal or external review, negotiations, redlining, approval, execution, and setting reminders for the renewal - our workflow engine is powerful and robust. As a best practice for all customer implementations, our Professional Services team assesses your current document processes to help you implement the best workflow for your goals. Once your workflows are up and running, you will gain insights into the process which will help you identify and fix bottlenecks down the road. 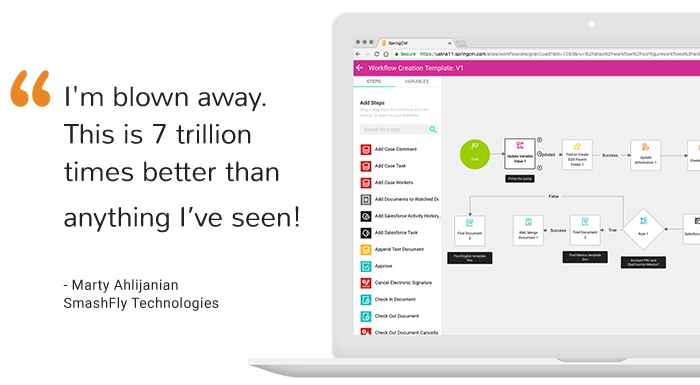 Benefit from workflow automation — manage the lifecycle of contracts, HR paperwork, and other business-sensitive documents. 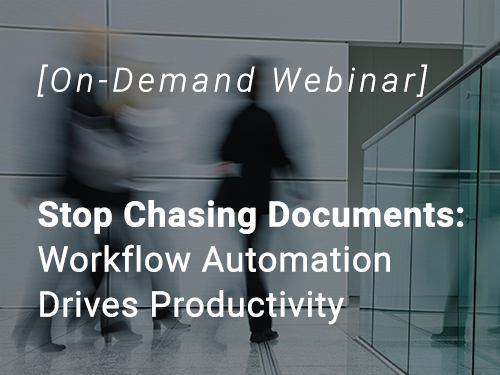 Find out how in our webinar, "Stop Chasing Documents: Workflow Automation Drives Productivity."